The Madsonic-Node REST API is under development. (See new method documentation). This guide assumes that you have successfully installed the Madsonic node service on your computer. 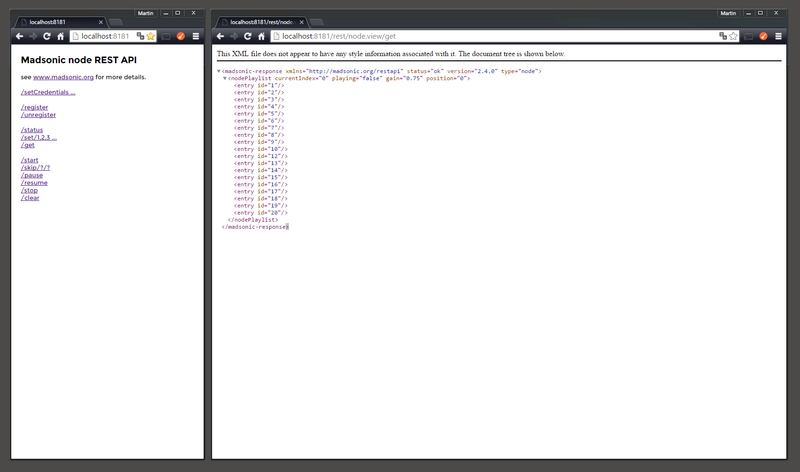 After installing and starting the Madsonic Node, open the Madsonic node web page. The web address may differ depending on your installation options, but is typically http://localhost:8181. 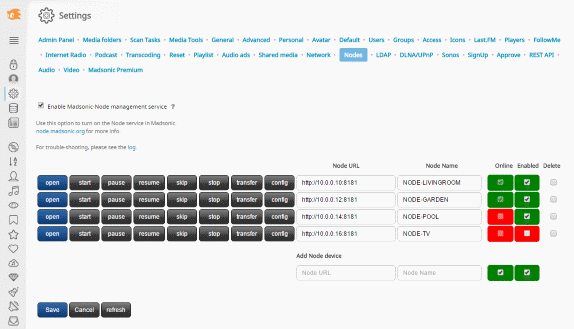 Madsonic Node is an experimently addon for the Madsonic 6.1 media server. 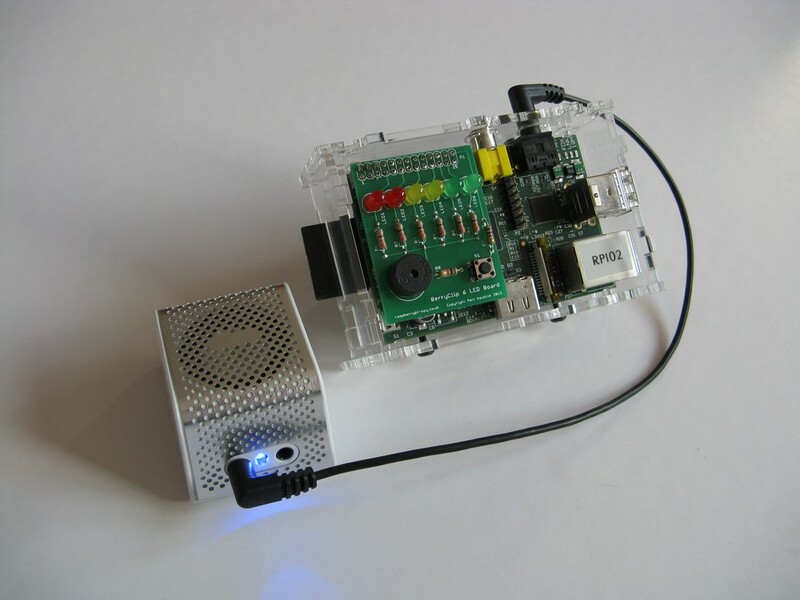 The idea is you can run it on a small device like a Raspberry Pi, connected to your amp/speaker/sound-system. 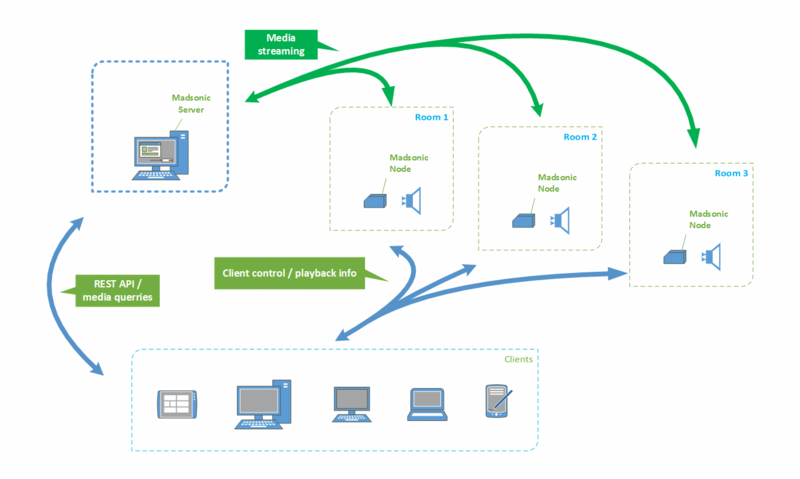 in multiple locations, all controlled via Madsonic clients or the webinterface. 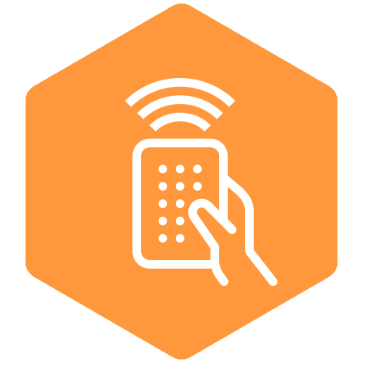 Madsonic Node is an remote jukebox for the Madsonic media server. Madsonic Node is an virtual jukebox playqueue for the Madsonic media server. The Madsonic-Node has an embedded Jetty server, and can be installed on any Windows, Linux, Unix operating system. Unpack madsonic-node-x.x.xxxx-standalone.tar.gz to MADSONIC_HOME which is typically c:\madsonic-node on Windows, and /var/madsonic-node on Linux. Open the Madsonic-Node web page. 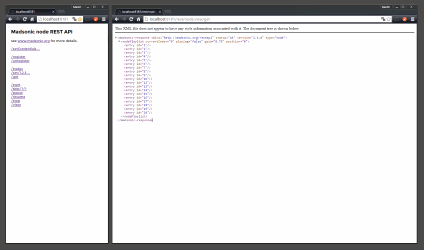 The default address is http://localhost:8181.
you can use this rest syntax. 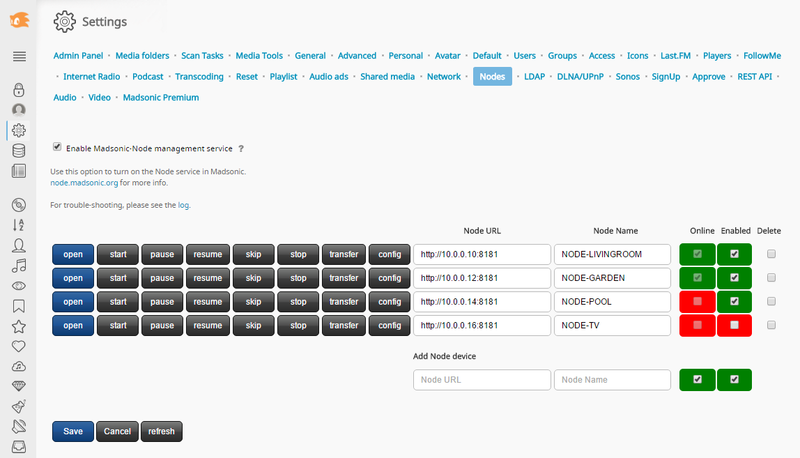 Open the Madsonic-Server web page and Select Settings > Nodes to manage and display your devices.